The background dinosaur is loaded from a single .3ds file split into bone groupings. 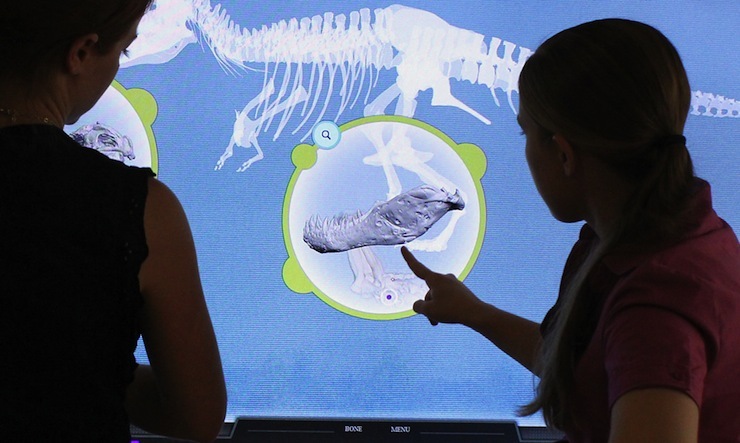 Users can rotate the dinosaur at any time and images of bone groups can be dragged onto the dinosaur, glowing when they are close to the correct spot. When the user releases an image in a correct spot, the corresponding bone group within the .3ds file is activated with color. Each bone group bubble has the option to explore the bone further. 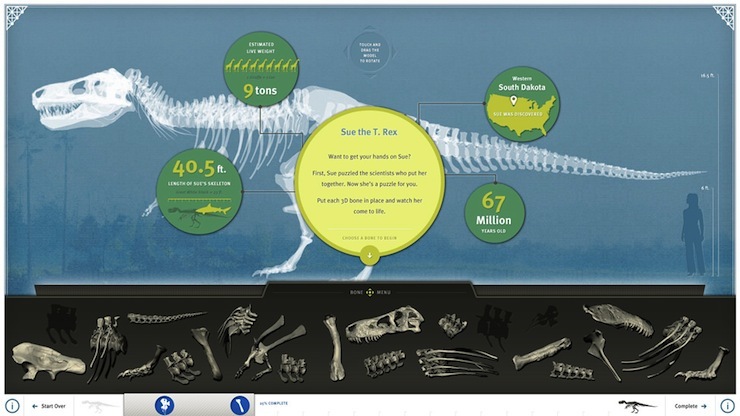 If you enter this view, the .3ds file of the bone group is shown with drag rotate and pinch zoom controls, allowing the user to explore the details of each bone group. 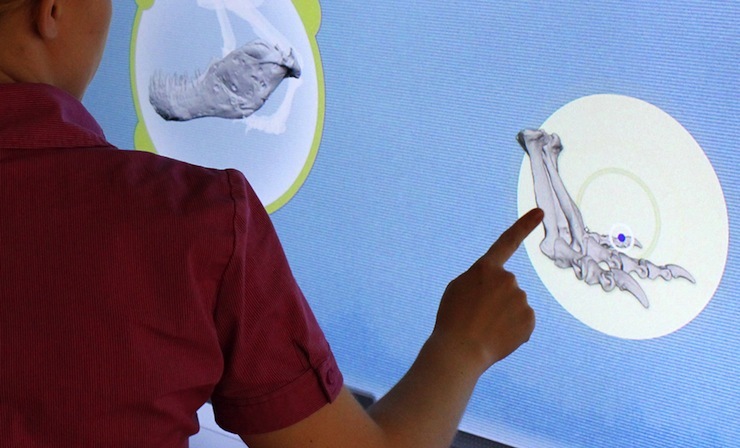 The multitouch interaction uses the GestureWorks API and is displayed on an Ideum 65″ Presenter screen. Click below to see a video of the installation in action.